Posted on October 22, 2015 by Skyla Wells / This entry was posted in Healing With Crystals and tagged birthstones, blue topaz education, blue topaz engagement rings, blue topaz information, blue topaz meaning of stone, blue topaz rings, mystic topaz meaning, topaz gemstone. Bookmark the permalink. Blue topaz is one of the most beautiful gemstones in the world and has captivated us for centuries. It is most commonly known as the birthstone that represents the month of December. As well as being simply beautiful to look at and for decorative purposes, the blue topaz also has many uses for an individual, on a spiritual and physical level. However there is much mystery surrounding blue topaz meanings, with many wondering what it symbolises in relation to healing and mental health. One belief is that the word topaz is derived from the word ‘tapas’ meaning heat or fire, as represented with its vibrant colour. However blue topaz, although a powerful crystal, is present in three shades of blue that represent calm, seas and the sky. It radiates tranquility. One popular blue topaz meaning is that of its healing properies. 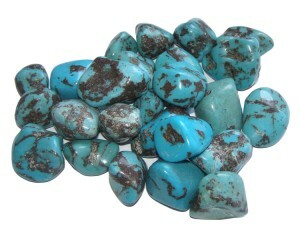 This gemstone can channel our energies and help us to fight negative energies. It also helps to surround the individual with positive energy and to create a feeling of inner peace. More importantly, another blue topaz meaning is that of it being able to aid with communication and helping to maintain concentration. As the stone can channel negative thoughts away from the individual, this can help with focusing and concentration when doing a specific task. Within Hindi culture, the blue topaz gem is used by spiritualists to meditate and to focus their attention. Many individuals also wear this stunning gemstone in the belief that it will aid them with public speaking and conveying those ideas and beliefs that are important to them. What blue topaz is also renowned for is helping to enhance the wearer’s eyesight. This is also done on a much deeper level, with the individual being able to see what is really ‘true’. Finally many believe that blue topaz has protective powers and that the individual wearing the gemstone will be safe from ill thoughts and negativity.